Plastic is everywhere these days. It packages our food and beauty products and it’s used to make everyday items like straws and carrier bags. However it is also in our oceans. Plastic is destroying marine life and the problem is only getting worse, and it’s been estimated that by 2050 there could be more plastic in the oceans than fish. So it’s time to take action to save our oceans before it’s too late, this can involve small changes like the ones below, but if we all make them it will make a difference! WWF (World Wide Fund for Nature) are pushing to make changes to save our oceans, why not visit their site to learn how to get involved? Here are a few tips on how to have a plastic free summer. Pre-pack your picnics at home. Swap shop bought, plastic-coated meals deals for homemade food, prepared at home and place it all in reusable containers. 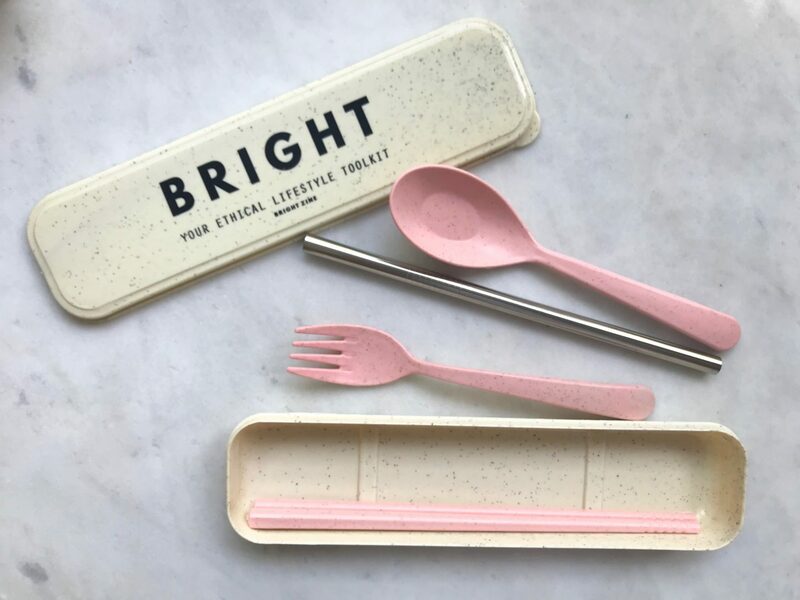 Bring your own reusable cutlery too to reduce your environmental impact so you don’t need to use disposable plastic ones. Choose your sweet snacks wisely. Try to opt for chocolate in a cardboard wrapper rather than the foil/ plastic packaging that can’t be recycled. Carry a reusable water bottle. We all know we need to stay hydrated, especially in summer, but why not do it without single use water bottles? As a nation we buy 38.5 million plastic bottle every day- horrifying I know and imagine how many don’t get recycled! Instead purchase a metal bottle which can be used time and time again to refill at home, or in a cafe or restaurant who are usually happy to oblige. Mine is the new Zanna Van Dijk for Chilly’s bottle. I would say this is an essential for having a plastic free summer. Refuse plastic straws in your drink when you’re basking in a sunny beer gardens or sipping a cocktail by the beach. Plastic straws are one of the biggest culprits for washing up on beaches or filing the stomachs of marine life. If you struggle to drink without a straw, purchase reusable ones which can be rinsed and used over and over again. If you’re shopping for toiletries for your upcoming holiday why not choose to go “naked’? Lush offer a range of products including shower gel, shampoo, conditioner, body scrubs, deodorant and suncream in solid form with no need for any plastic packaging. Instead they can be stored in tins which can be reused. 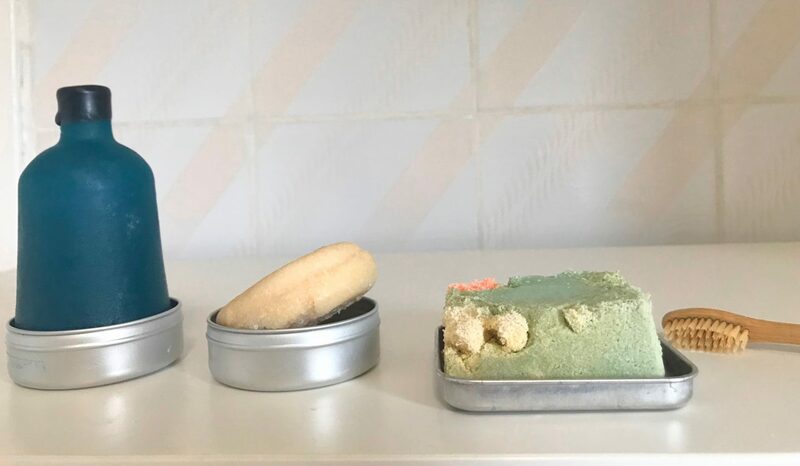 These products are zero waste and actually last a surprisingly long time so are worth the investment. Make loose leaf iced tea. Us Brits love a cup of tea in the winter and an iced tea in summertime. Go for a loose leaf tea to make these drinks instead of teabags which often actually contain plastic so are not fully bio degradable. Loose tea eliminates the need for the bag, so you can enjoy your tea guilt-free. Try to shop at markets or local bakeries etc to get your groceries plastic free. 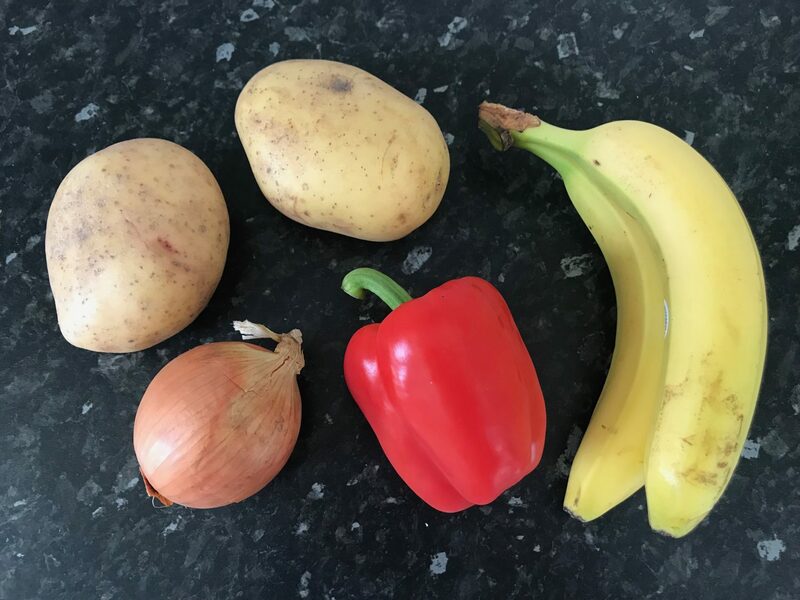 Choose a loose, unpackaged loaf and pastries and buy individual fruit and veg to avoid the plastic wrapping. Pack it all at the till into a reusable tote bag instead of the usual carrier bag for a plastic free shopping trip. So those are just a few ways you can reduce your environmental impact and have a plastic free summer! With plastic making up 95% of all waste in the open ocean it’s about time we did something about it! If you have any other suggestions or tips please share them in the comments below as we can always do more to help the planet! 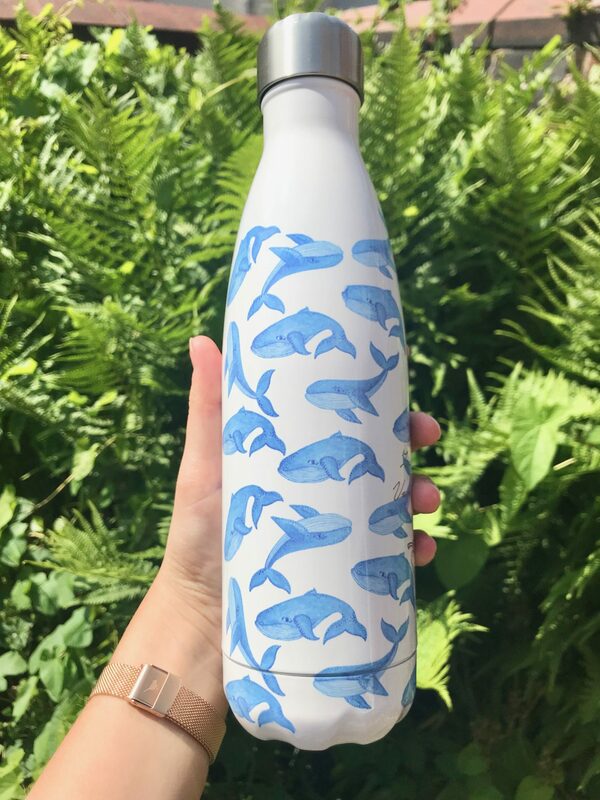 I LOVE the Chilly bottle with the whales on it. I wish they made it in the 750ml size. Eventually people will come around to the idea, just got to be persistent until then!